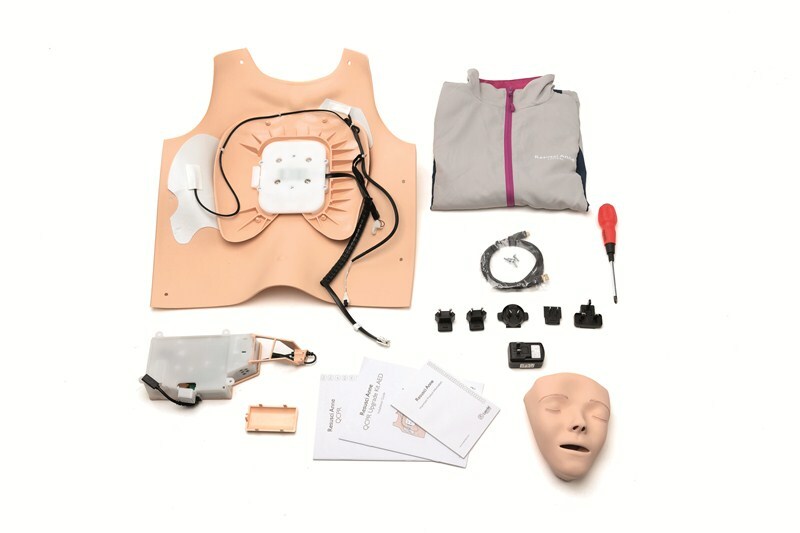 The RA QCPR AED 2018 upgrade kit include the new electronics including Bluetooth Low Energy (BLE) and rechargeable battery in addition to required cables, a new chest skin and clothes. 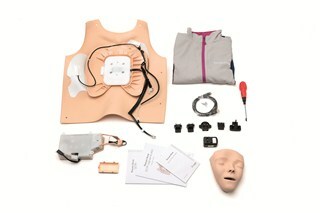 The makes your manikin ready for use with the new apps and SimPad Plus (blue button). The SimPad classic (yellow button) will not work with your manikin after upgrading. The electronics in the kits currently work with PC Skillreporter software on wired connection only (up to 6 manikins using a USB hub). A new PC Skillreporter software patch is under development. The PC Skillreporter patch will be available for free download to existing PC Skillreporter customers from the Laerdal software download site without the need for a license key. Be aware that any BTLE connection to a computer requires Windows 10 and above.